Throughout history and across cultures, people have understood that steam baths are beneficial. 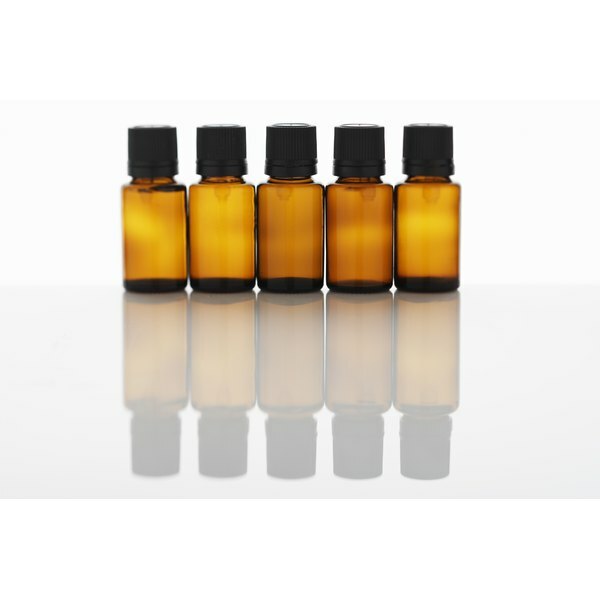 They provide physical and mental relaxation and alleviate respiratory distress. Adding dried herbs or essential oils to a steam bath enhances these health benefits. Steam provides an effective way to use herbs because it opens the pores, allowing botanicals to be absorbed into the skin more readily. Steam also facilitates breathing, which allows the essences of the herbs used to be inhaled with ease. To infuse the steam, add a handful of dried herbs or a teaspoon of pure essential oil to the water before you heat it. Steam baths can be used as part of a natural detox regimen. Steam causes the body to sweat and expel toxins, which is beneficial to the liver, according to author Andrew Weil. You can add herbs to the water to increase the cleansing effects of steam. Juniper essential oil, for example, acts as a diuretic and encourages your body to eliminate uric acid. Adding lavender essential oil to your bath makes the experience even more soothing. Inhaling lavender essence decreases anxiety and agitation and helps you relax. Lavender has also been used to alleviate depression, and inhaling the scent regularly helps improve your overall mood. Steam soothes the throat, nasal passages and lungs, and thins mucous in the respiratory tract. Sage and eucalyptus are decongestants with anti-inflammatory and antimicrobial properties. A steam bath with eucalyptus and sage-infused water eases the symptoms of bronchitis. By adding chamomile extract to your water, you can relieve respiratory symptoms associated with the common cold. Steam baths should not be used by anyone with a known heart condition or by pregnant women. Pregnant women should avoid the use of juniper, sage and lavender essential oils. Lavender essential oil used in conjunction with steam may cause drowsiness. Steam baths cause profuse sweating, so make sure you drink enough water to stay hydrated. As with any natural remedies, consult your physician before adding any herbs or essential oils to your self-care regimen. Jacqueline Glimp has been writing and editing since 2000. She spent two years as a copy editor for "Nuance Literary Magazine," where she also worked as an art editor. She is a graduate of Colorado State University and holds a Bachelor of Fine Arts in Visual Art.